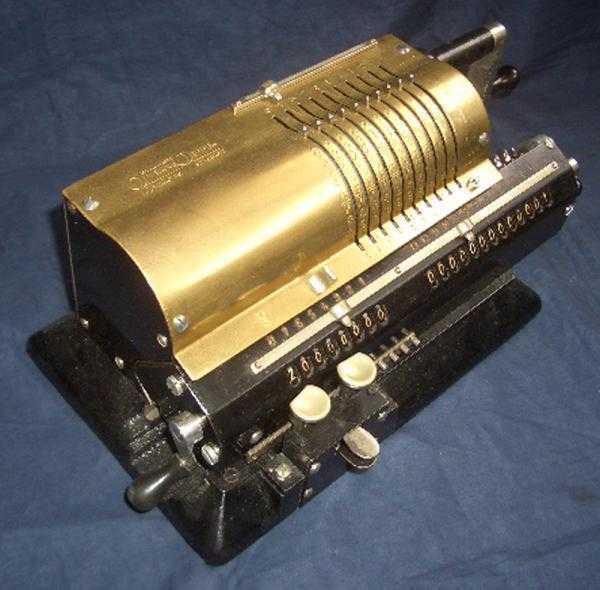 I purchased this 'Golden' calculator in Japan (via a good friend) from an antique dealer who did not know (or would not tell) its history. 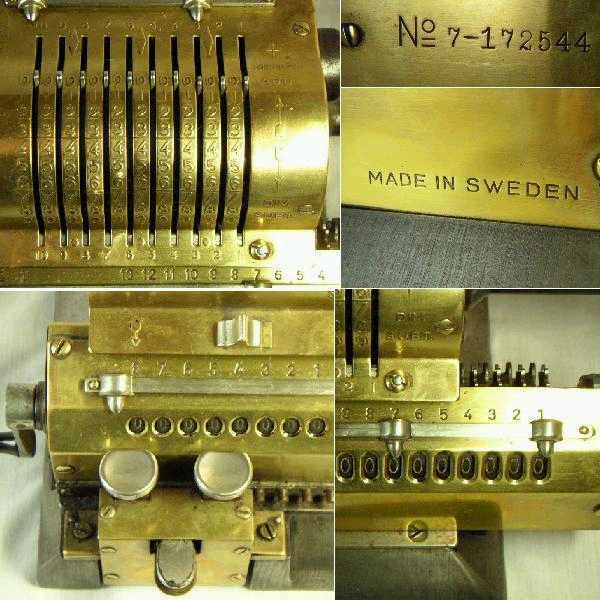 Here you can see that though the top plate has been stripped of paint, the screws do not appear to be made of brass as with the 'Golden' model. 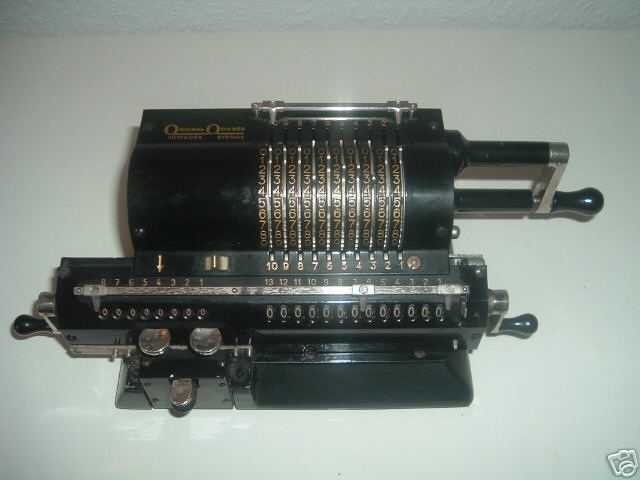 Original Odhner is one famous brand of a great many that produced this 'pinwheel' style of machine (so-called because a set of pins project from the large central drum, which rotates as the crank is turned). 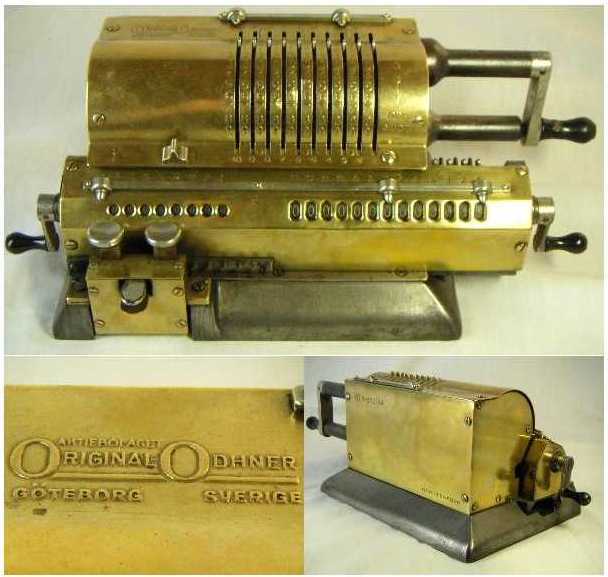 Willgodt T. Odhner invented the design in 1874 in St. Petersburg (though the American inventor Frank Baldwin independently originated a very similar concept two years earlier).